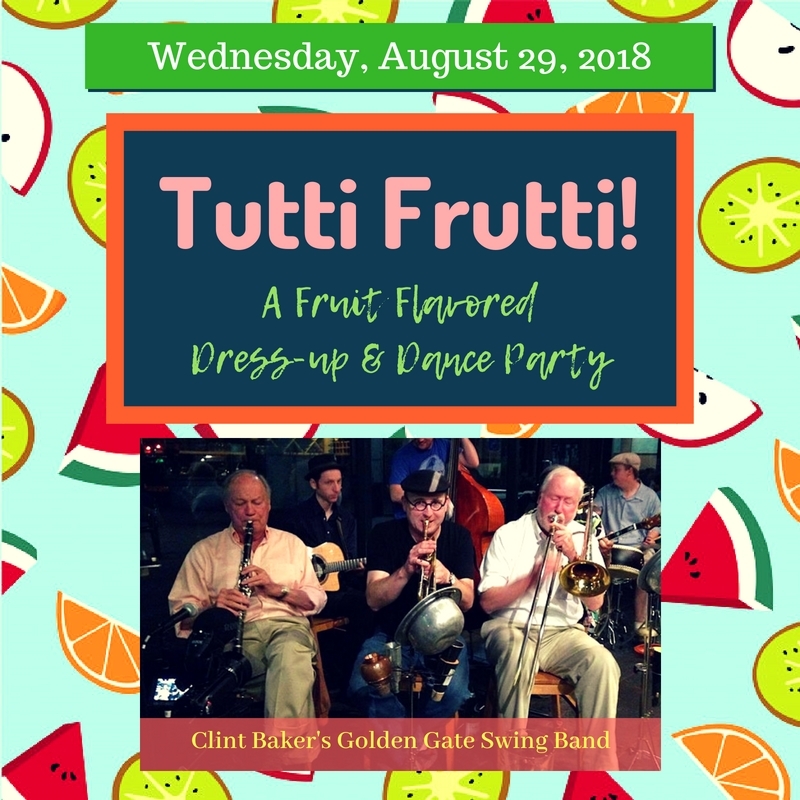 Wed, Aug 29: Tutti Frutti Dress-up & Dance Party with Clint Baker’s Golden Gate Swing Band! Watch the Shimmytown Shufflers Balboa performance…and more! 9-9:30 PM Beginning Swing Drop-in Class – No partner needed. Newbies welcome! Swedish American Hall. 2174 Market Street, SF. Near 14th Street.